Anyone that has their own website is certainly aware of how annoying spam can be. One day you might see a big blast, and the next day not so much. Reducing or preventing it can be a major challenge. There are unlimited topics and resources about combating and dealing with it. Sometimes it is obvious, but other times it’s not, and I know some websites are a little more lenient than others when it comes to what they will and will not allow. If your site has a feature that allows visitors or members to post something chances are you will have to deal with it at some point. I have been battling spam here on this site for a quite a while now. I have spent countless hours researching and testing different anti-spam tips and suggestions. Obviously I would like to block and prevent spam, but I don’t want to block anything legit in the process. People say use Askimet and you won’t have to worry about it or deal with it anymore. Askimet is pretty decent and it does block and prevent a lot of spam, but it’s not perfect either. It does prevent a small percentage of real comments. So use it and prevent the majority of real spam, and just accept that a few legit comments will get caught in the process. Using other anti-spam methods might allow the legit comments through that Askimet would have blocked, but in the process I get a bunch that I would rather not have to deal with come through as well. There are quite a few anti-spam plugins and modifications for WordPress, but I haven’t been totally pleased with the results. I still get way more spam than I would like to see. I have read more topics about preventing WordPress spam than I can count over the past few weeks. Most of them recommend the same plugins or modifications, which in my opinion didn’t help that much. They do work to some extent, just not as well as what I was hoping for or expecting. I have been testing .htaccess and assorted anti-spam code tweaks while my friend Peter Lee from Computer How To Guide has been testing a lot of WordPress anti-spam plugins. 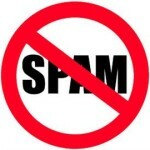 We have managed to reduce some of the spam we receive, but I think we would both like to see a bigger reduction. I am tempted to turn Askimet back on, but I just can’t bring myself to do so yet. I have a couple more things to test out, but I am starting to lose faith, not to mention my patience with all the spam. I intend to test a few more modifications over the coming weeks, and hopefully I will find something that helps. I am wasting way too much time deleting spam daily. I have much better things that I would rather be spending my time with. 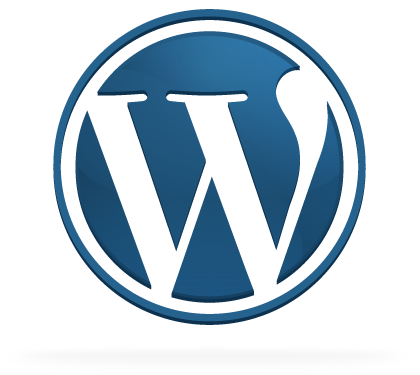 If anyone uses a WordPress anti-spam plugin, code modification, or combination I would love to hear what works for you. Keep in mind I would rather avoid using Askimet if possible. I did add a modification about 24 hours ago that seems to be helping. However, it is a little early to know for sure yet. It could just be coincidence and I should allow more time before I come to a conclusion. If I continue to see positive results I will pass it along in another post. I looked into WP Spam Free a while back and if I remember right it wasn’t in the WordPress repository. I check the homepage and I recall it saying something about they were no longer providing support. I don’t know that any anti-spam is perfect. Finding one that does a good job is a challenge. Speaking of spam, I remember something that I brought up in one of the online forums I’m in. It’s the fact that there are some comments that contain just a “thank you for the post” in it that would get through while your detailed reply won’t get through the anti-spam engine at all. I guess that proves that those anti-spam stuff aren’t really that perfect as some people thought they would be. Each of these anti-spam features and plugins seem to behave a little different. One will block comment A and another will block comment B.
Hmm, so what’s the best spam buster out there? Well, actually this is not easy to answer and until now we are still looking for the best one.. Looking forward to hear more about your testings and modifications with Peter re fighting spam. Keep us posted. Your right it’s not easy finding something that does a good job. It seems to be a never ending battle. Just when I think I have a handle on it, they come rolling in again. Thanks for the awesome post. 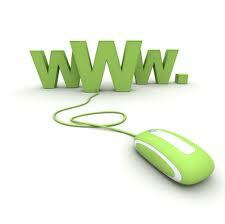 If you are blogging using the wp platform then you might get huge amount of spams. I use GASP and Akismet both. Spam is really annoying. Thanks for stopping by and commenting. All the spam I have been getting lately is extremely annoying, and driving me crazy. I think Gasp and akismet can solve the problem to a greater extent. how many non spam comments do they mark as spam.? Akisment tend to take a few comments every day on my blog, so if combining them minimize that I just might use gasp also. Thanks for this great post. I am planning to transfer one of my blogger blogs to wordpress and this post is giving me additional idea about fighting those annoying spam messages. Hope to hear more updates from you. We used Askimet, but like you said, it filtered out good comments sometimes too. As hard as we work to build our guest relations, we don’t want to lose even one. So now we just deal with it and try to ignore it. I just wish Askimet had more options or settings so you could see the ones that it tosses out. I does block a few genuine real comments, but without it I get a flood of junk. Building on what Gerald said, I also find that I have to check my spam filters constantly to find my worthwhile comments when spam comments like ‘nice site post more stuff pls’ just get through regardless! I welcome all comments but would rather get the nice ones not blocked! Sometimes you almost miss real comments when you are going through all the spam. I swear sometimes it is like 1 out of 100, or more that are real or not spam. In my opinion, there is no perfect anti-spam plugin. The only way to keep your WordPress site spam-free is to actively moderate the comments you receive. It sounds very time-consuming yet it will give the best results. I agree with you. There is no perfect anti-spam plugin. One plugin seems to block one thing and another something else. Moderating each individual comment is the only way, but it sure can be time-consuming and tedious. I also use Askimet, but I also have plugin that sends a mail to the user telling them that their comment has been approved. I have read about a few that do some kind of emailing. I haven’t tried any, but I’ll keep that in mind for future testing. The fight against spam is never-ending it seems like. Even though big strides have been made in recent years with all sorts of new techniques and mechanisms, they still seem to slip through and fester if not nipped in the bud. I guess until computers are capable of making judgement calls, some spam will continue to get through.